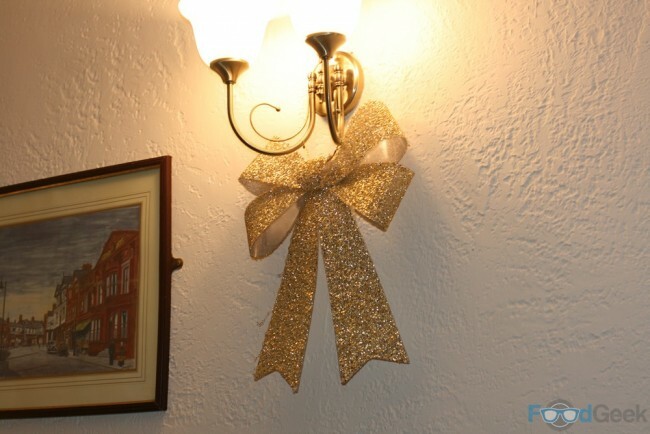 I get the impression that Jon Jones, head chef of The Farmers Arms, doesn’t really like Christmas. That’s just from talking to him, thankfully it doesn’t show in his menus or cooking. 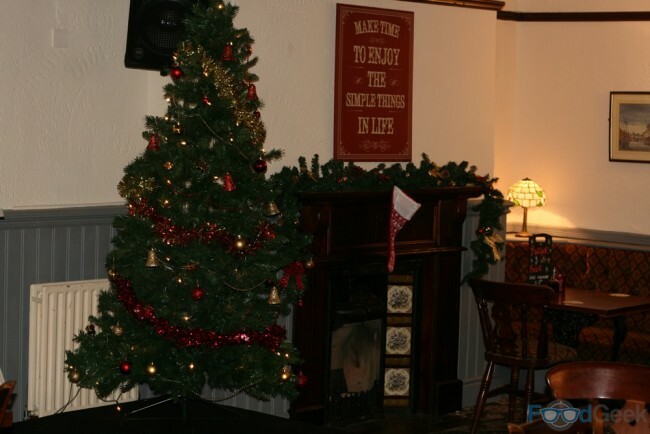 I had a jolly festive feast there a couple of years ago so booked a table just before the Christmas madness started to get 2015’s festivities underway. The pub was suitably decorated and looking great. To further get us into the festive spirit we started with a couple of glasses of mead from the fantastic Lancashire Mead Company, located in nearby Horwich. 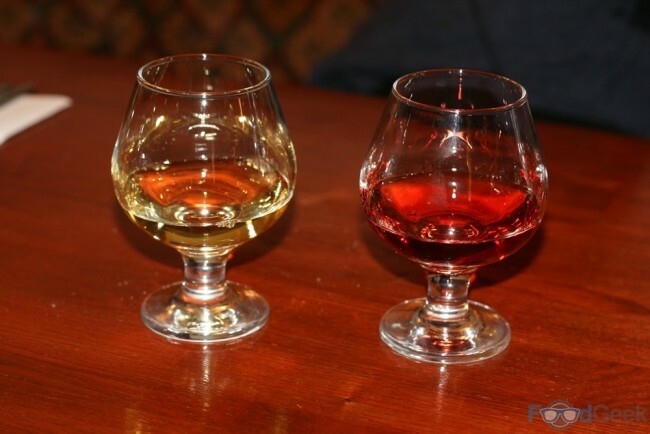 The lighter coloured mead was made with Christmas spices, while the red one, called ‘Vikings Blood’ is deep berry flavoured. They were both great but the Vikings Blood was so good we had to get ourselves a bottle the next week. I started with ‘Smoked Salmon Parcel’, a simple dish that saw a bauble-like sphere of salmon filled with capers, herbs and cream cheese and drizzled with lemon & lime dressing. A light but very tasty start. 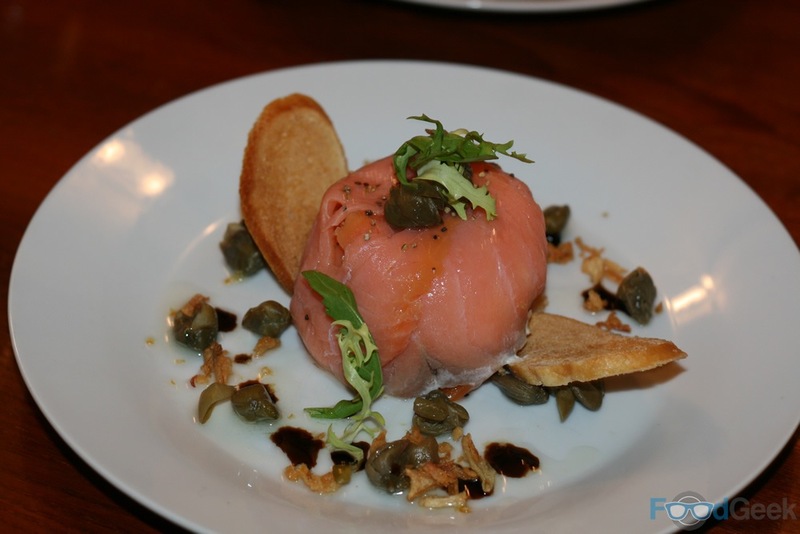 I loved the way the capers and citrus juice cut through the richness of the salmon and cream cheese. Mrs FG went for ‘Festive Terrine’. 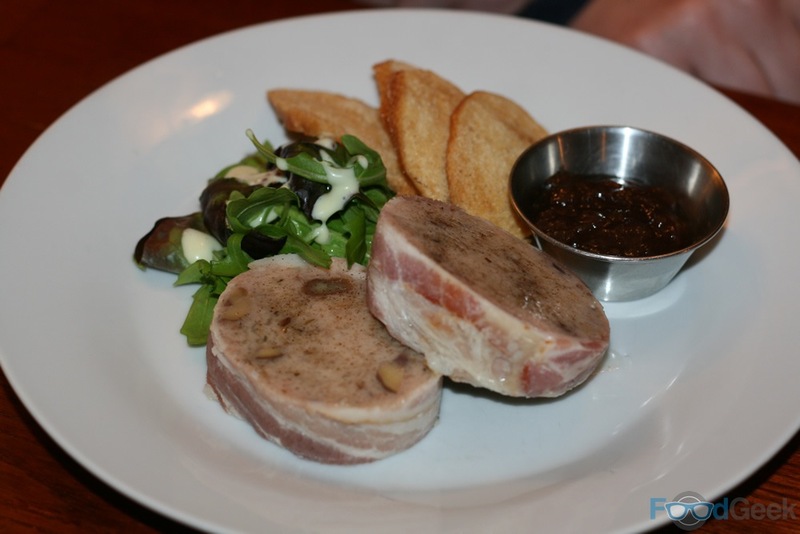 Essentially delicious compressed chestnut and clementine stuffing wrapped in smoked bacon. It was served with crisp slices of toast and a red onion and cranberry chutney. The chutney was a bit sweet for us, but hey, it was Christmas. 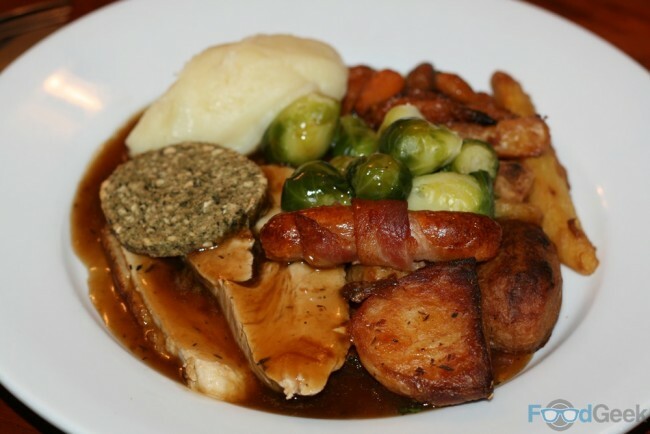 Despite knowing there’d be several to come over the next week, I couldn’t resist ordering the ‘Roast Turkey Dinner’. 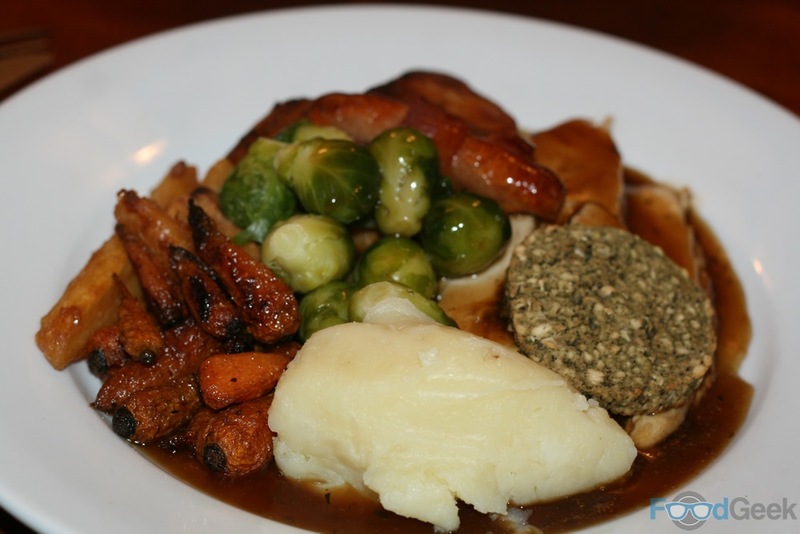 I already knew that Jon does a mean roast and this festive one was no different; really good roast potatoes, juicy turkey drenched in rich gravy, super buttery mashed potatoes, roasted carrots and parsnips etc.. I was happy to see sprouts on there too. My only issue was receiving just one pig in blanket, I mean, that’s not very festive is it? To be fair though, this menu is ridiculous value so I shouldn’t complain, but I’d happily pay a supplement for extra pigs in blankets next year. Mrs FG ordered the ‘Baked Salmon Supreme’. I have to admit, it sounded pretty boring to me but looked fantastic when it arrived. 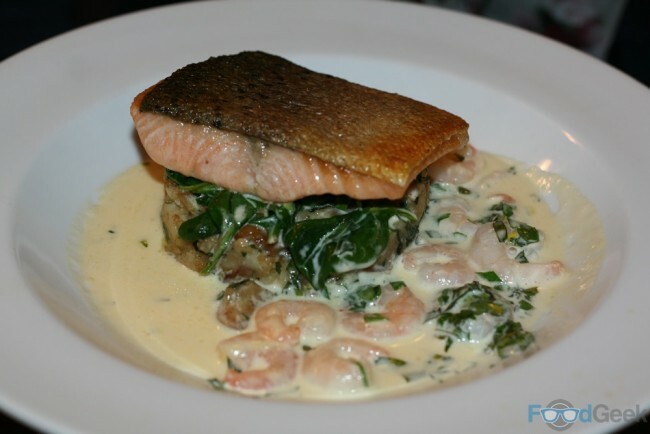 It tasted great too; an immaculately cooked piece of salmon – with skin as crispy as skin can be – was sat on soft crushed potatoes, with loads of herbs in a prawn butter sauce. The silky smooth sauce was highly seasoned but just stayed on the right side. It’s a very accomplished dish and I shall try not to judge a book by its cover in future. Just like the Turkey Dinner, there’s no way I can pass up a ‘Christmas Pudding’, despite the fact I had one big enough to feed 20 people at home (it was for four of us). 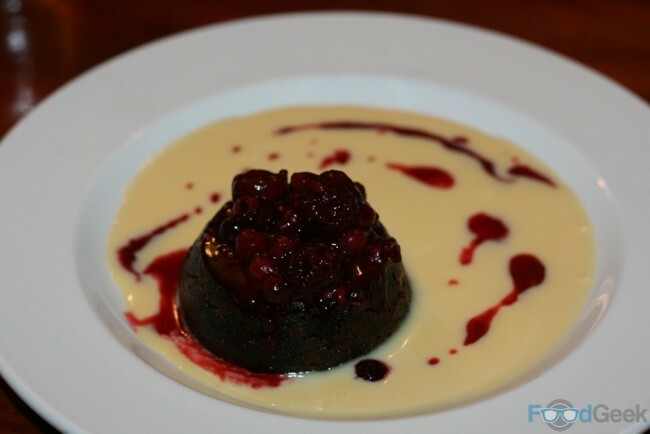 This was a very enjoyable pudding, rich but not too heavy and lovely and moist. 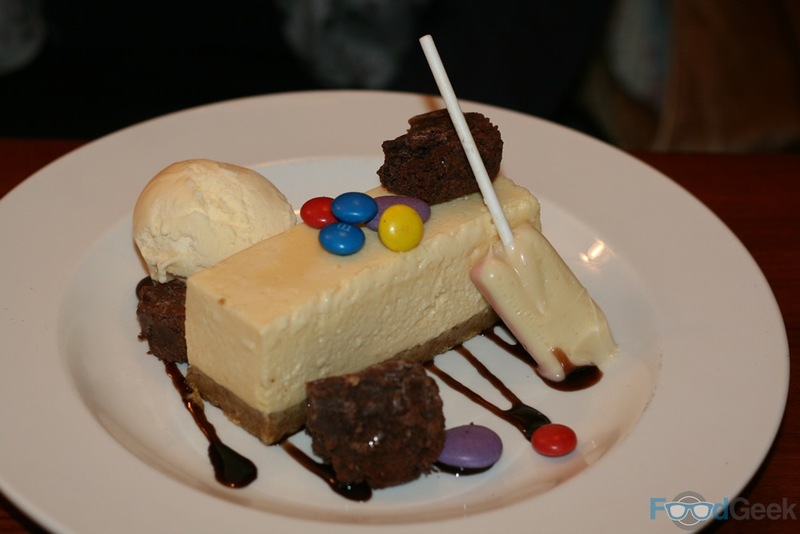 We’ve had several fantastic cheesecakes at the Farmers Arms over the years and the ‘Celebration Cheesecake’ was no exception. A fairly traditional, but very good, vanilla cheesecake is topped with all sorts of chocolates, sweets – including a Drumstick lolly! – and even chunks of brownie. 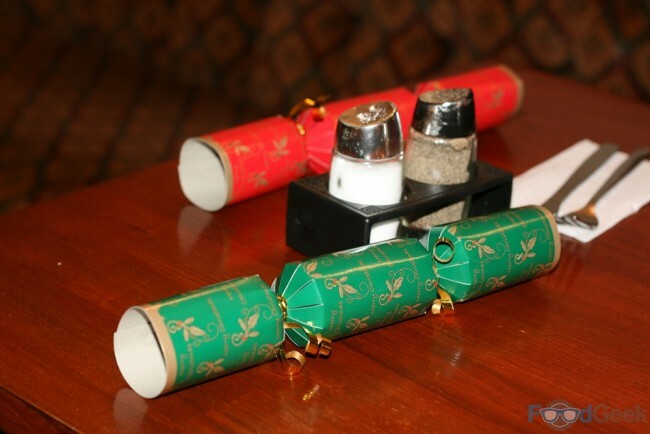 It tastes great and it’s loads of fun too, what more could you want at Christmas? Well, maybe a mince pie. Happily, we got those too. With a nice coffee. As ever, the standard of cooking at the Farmers Arms was very high; service was friendly and efficient too. 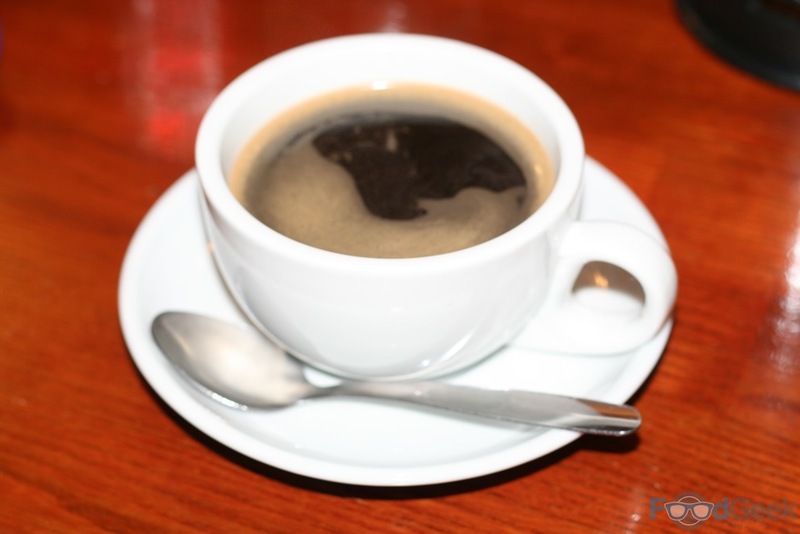 When you consider it costs just £14.95 for three courses plus coffee and mince pie it’s just incredible value. 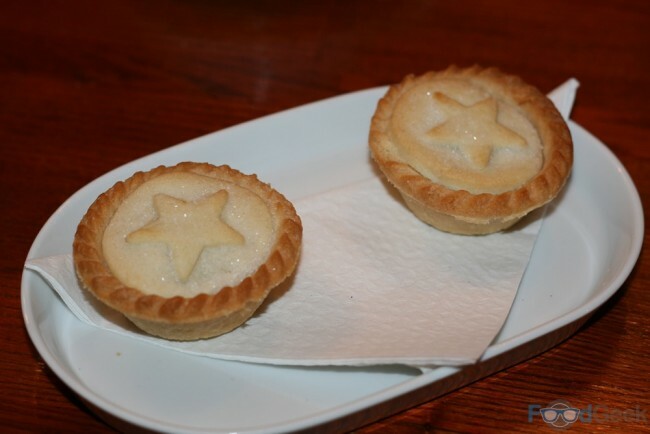 Personally, I’d rather pay more money for things like extra pigs in blankets and maybe homemade mince pies, but I know Jon has a hard time convincing some customers to pay for good food so it’s totally understandable. All in all, I really enjoyed everything, it was the perfect start to my Christmas and I look forward to the same again next this year (must remember it’s already 2016).